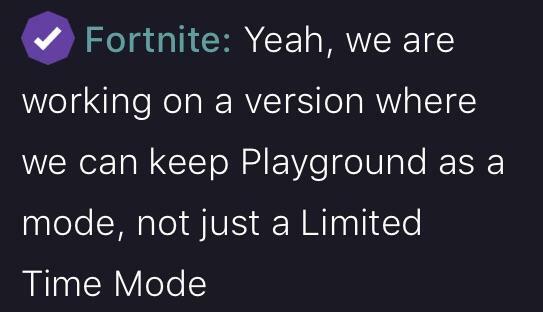 Epic Games confirmed it is planning on making the Playground Limited Time Mode a permanent mode in Fortnite: Battle Royale. A comment by the Fortnite Twitch channel mentioned Epic Games has plans on making Playground permanent. "Yeah, we are working on a version where we can keep Playground as a mode, not just a Limited Time Mode," the comment read. 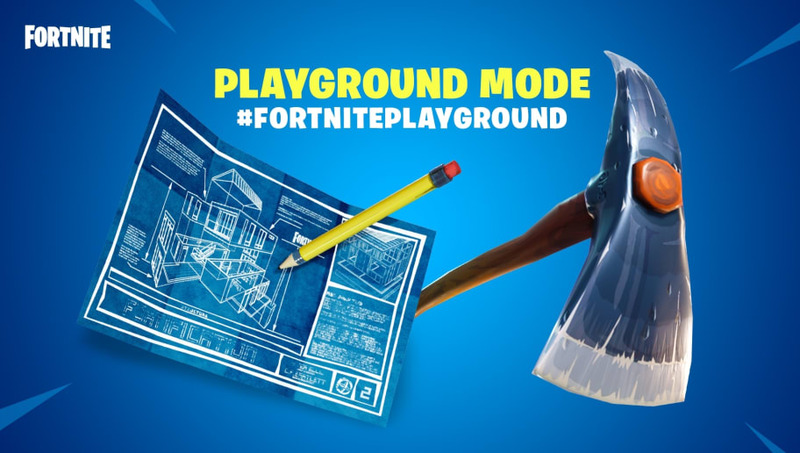 Playground was introduced as an LTM on June 27. The game mode ran into problems upon its release and was disabled shortly after going live. Epic Games delayed its release for a week and was finally made available in all regions. The LTM allows players to create lobbies with their friends and mess around on the map as freely as they like. "Playground is a low-pressure environment where friends can let their creativity run wild. Build massive structures. Practice with the weapons and items. Fight against your friends," the post read. Many Fortnite players consider it one of the best modes in the game so far.